Ruth Rains Middle School is a part of the Dixie school district in Cross City, Florida. As of our last data update the school employs 25.00 full-time teachers. There are 435 students of which 306 receive a free lunch and 35 receive a price-reduced lunch. Testing data (where available), resources, graphs, county-level educational attainment, and more can be located below. We also appreciate and encourage students, teachers, and family members to submit additional information, reviews, and comments below. 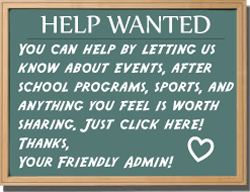 Suggestions: school hours, events, sports, activities, clubs, school history, music and art programs, and after school programs. This school has a student to teacher ratio of 17.4 students per full-time teacher compared to the Florida average of 15.81 students per full-time teacher. *Values of 0 in the graphs above are typically indicative of missing or erroneous data. The 2011-2012 school year is the most recently available data provided by the federal government for the above topics (total students, FTE teachers, and free lunches). More recent data if often available via the state's Department of Education link located in the 'Government Resources' box above. Due to rounding some rows may add up to slightly more or less than 100%.